Starting from 19:00, Korean TV drama fans are invited to join the second event of the yearly London Korean Drama Screenings on Thursday 2 April, from 7:00pm. Synopsis: Cha Do-hyun (Ji Sung) is a third generation heir to a Korean chaebol, a large family-owned business conglomerate. As a way of protecting himself from a childhood trauma, he develops a dissociate identity disorder also known as multiple identity disorder. Six new personalities successively take possession of his body: Sin Se-gi, Perry Park, An Yo-seob, An Yo-na, Nana and Mysterious X. To take back control of his life, he secretly asks the help of Ri-jin Oh (Hwang Jung-eum), a first year resident in psychiatry, who turns out to have a personality way different to the charming and innocent appearance she presents. 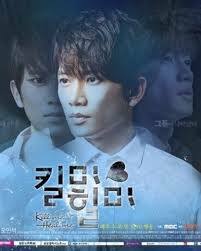 Ri-jin’s twin brother is a renowned crime writer and through Do-hyun he gains access to the secrets of the “almightys”. Synopsis: Si-on Park suffers from autism and other health issues. Despite his mental age being the equivalent of only 10 years old, he also has a savant syndrome, not only the source of his exceptional abilities in the medical field but also the gateway to a career as a pediatric surgeon. Since his early childhood, Si-on has wished to become a doctor. Witness to his extraordinary abilities, Hospital Director Choi Wu-seok tries everything to have him among his staff. With the Hospital’s Board of Administration being against Si-on becoming resident, Choi bets his position on a 6-month trial period during which the unusual doctor will have to prove he is up to the task. Constantly criticized by fellow surgeon Kim Do-han (Joo Sang-wook), Si-on’s challenges become even greater when he falls in love with his mentor, surgeon Cha Yoon-seo (Moon Chae-won). 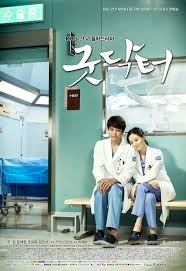 Good Doctor was the second Korean drama to be picked up for a U.S. remake, for CBS.